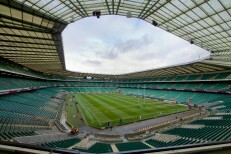 Sensibly priced VIP hospitality at the iconic home of English rugby. As preparations for a Rugby World Cup go, it doesn’t get any better than head to head encounters with two out of three of the top ranked teams in the world. England’s final competitive home fixture at Twickenham before heading off to Japan 2019 is the eagerly anticipated heavy weight clash with Ireland. Despite boasting the highest winning percentage of any top-tier team over the last three years, including their momentous 16-9 victory in Dublin against the All Blacks, Ireland succumbed to a resurgent England in the opening weekend of this year’s 6 Nations and will now be looking to exact immediate revenge. With seats on the plane to the Far East at stake for both sets of players, a capacity Twickenham crowd should be in for a corker!